RPolice in the Southern Province have seized an assortment of illegal merchandise after they were smuggled into the country. According to the southern region police spokesperson chief inspector of police (CIP) Innocent Gasasira, the smuggled goods were impounded by a security patrol conducted by revenue protection unit of police (RPU) on January 30. 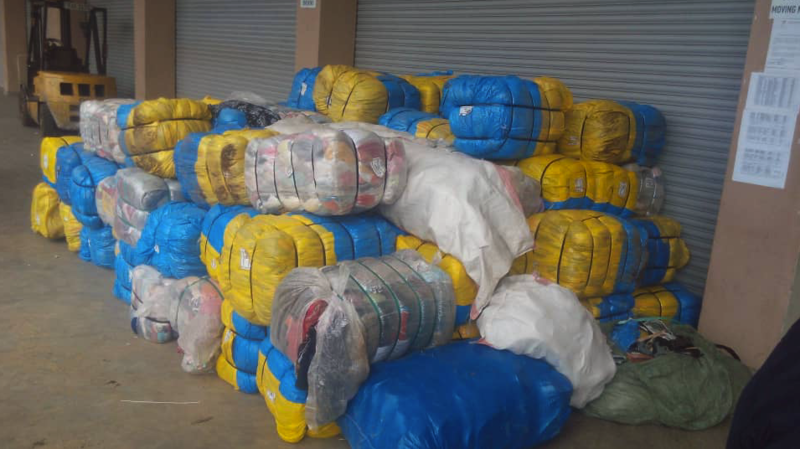 The goods seized include 267 kilograms, 104 kilograms of used clothes and shoes respectively. Others are four boxes of Salsa tomato pasta, pans six dozens of powder milk of 2500g, Pakimaya nine pieces, two boxes of Juice, four dozens of Shirts, and Electrical cables 20 pieces. The government of Rwanda deliberated on a strategy to develop the textiles, apparel, and leather industrial sectors and a blueprint were consequently designed on how to implement such a strategy. Rubavu, Gicumbi, and Burera are among districts mapped as major transit routes for drug traffickers in the Northern and Southern Provinces. As a result, residents have since strengthened community policing efforts through the establishment of an anti-drugs club in each of the sectors to increase awareness and support intensified Police operations to arrest dealers. A draft 2017-2019 strategy for the transformation of textiles, apparel, and leather industrial sectors aim to increase the quality and quantity of textile, apparel and leather for both local and foreign markets. He said those dodging taxes affect the economy and the same effect to the profitability of others who pay taxes. In article 200, any person with unaccustomed goods shall be liable to imprisonment not exceeding five years or a fine of 50 percent of the dutiable value of the goods involved, or both.